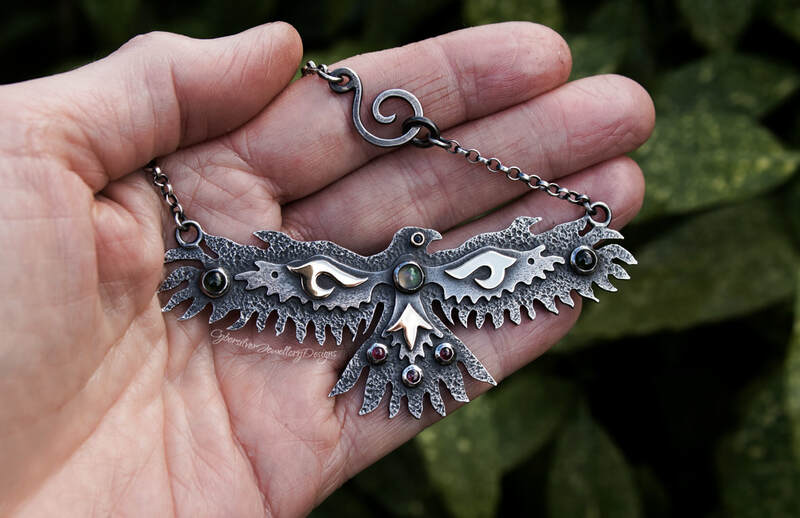 This amazing large silver raven necklace is a true statement piece. As he soars high in the sky, he spreads his wings proudly to reveal his impressive gold and bejewelled feathers. Entirely handmade from hand cut layers of thick sterling silver, he is decorated with three shimmering gold details, each meticulously hand cut from solid 9 carat yellow gold - this is sold gold, not gold plated. He is completely hand textured and his dark patina has been very lightly brushed to give him a beautiful dark finish. He is set with a stunning rose cut white opal which sparkles with greens, reds and blues. 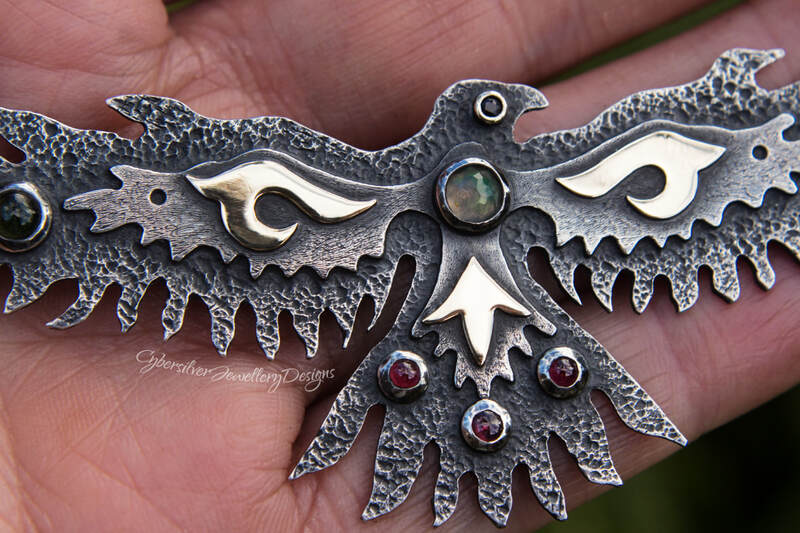 These colours are echoed in his dark blue sapphire eye, which is set in a 9 carat gold setting, the two deep green tourmalines on the tips of his wings, and the three red garnets set on his tail. His solid silver chain has also been oxidised and is finished with a handmade clasp. The silver has been waxed with a microcrystalline wax to help protect the oxidised surface. Oxidisation is a surface treatment that will lighten with wear.